They've lost 80 percent of their families in just 10 years. 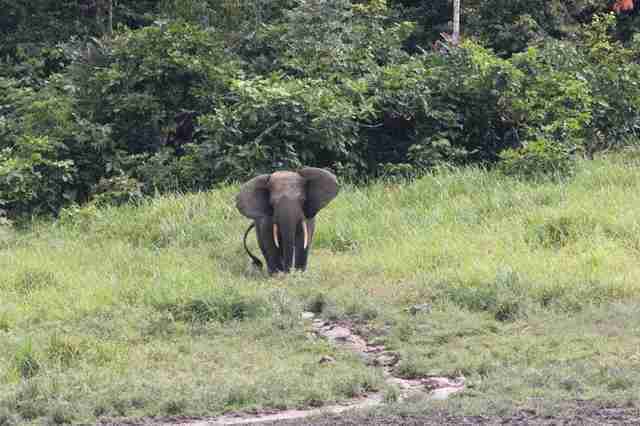 In 2010, Gaspard Abitsi and a few colleagues were wandering through a national park in Gabon when they came across an elephant who needed help. The young male bull had fallen into a deep hole, and he was struggling to get out by himself. Once they’d hoisted the elephant up to safety, the animal hurried into the forest, where his family members were waiting for him, Abitsi explained. But before the elephant disappeared, he turned around to gaze back at his rescuers. “He gave us a last look as if to thank us for our help,” Abitsi said. 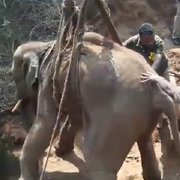 Abitsi was pleased to help this elephant for more than one reason — not only was it important to get him out of the hole, but he could have also become easy prey for poachers. In fact, the accident happened on a road that poachers frequently travel, Abitsi said, and it would only have been a matter of time before the helpless elephant was killed for his ivory. 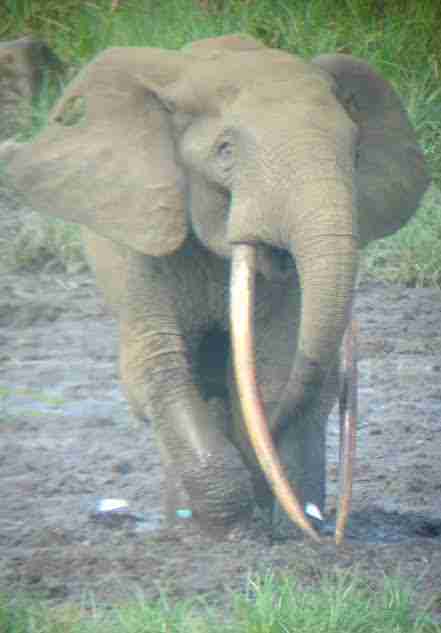 This elephant’s life may have been spared, but elephants in Gabon are being killed for their ivory at an alarming rate. 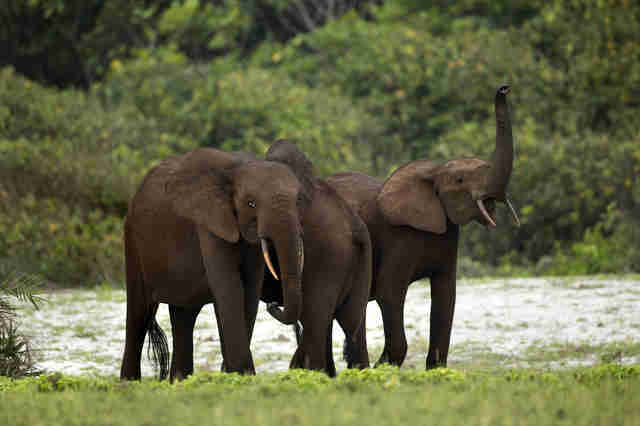 It’s estimated that poachers have killed over 25,000 elephants in and around Gabon’s Minkébé National Park between 2004 and 2014 alone — roughly 80 percent of that area's entire elephant population. 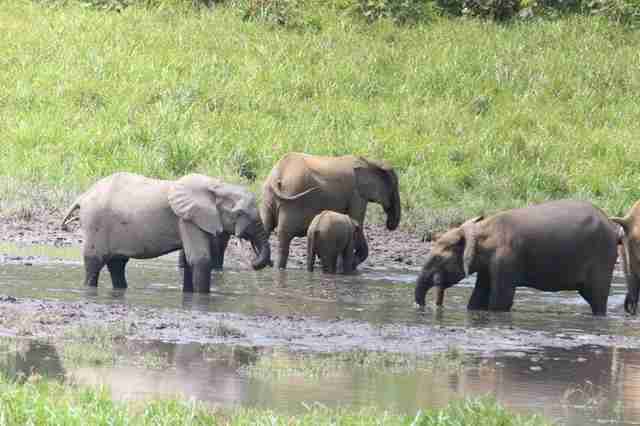 “The numbers for that particular park in Gabon are distressing, but there are quite a few places across Africa that are seeing similar kind of losses,” Naomi Doak, head of conservation programs for United for Wildlife, an international wildlife charity, told The Dodo. 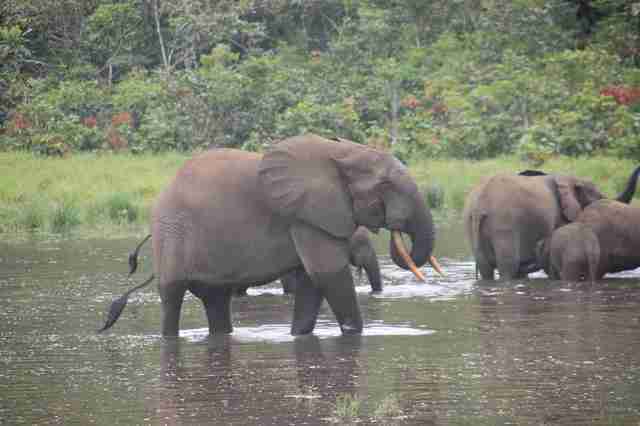 What makes the poaching issue in Gabon particularly tragic is the elephants here are forest elephants, which are a unique type of animal. 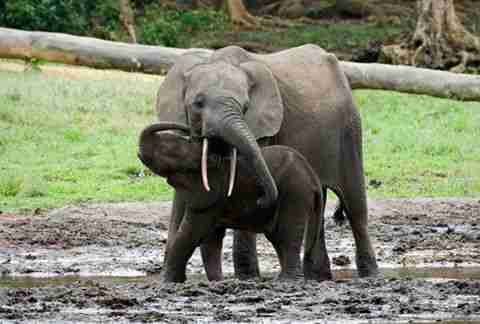 The loss of forest elephants in Gabon would be tragic for a number of reasons. Not only would the world be losing a unique animal, but the environment would suffer too. 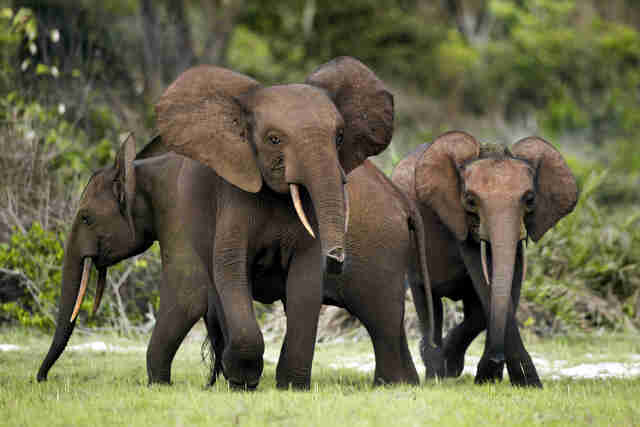 Many dedicated people are working to protect forest elephants in Gabon, as well as in neighboring countries like the Democratic Republic of the Congo and Cameroon. But wildlife protectors face a myriad of obstacles. For one, Gabon is covered in dense forest, which makes it hard for rangers to patrol — and easy for poachers to hide in. Rangers are also underfunded and understaffed, and they face sometimes fatal risks when they go out into the field to protect animals. At the same time, lots of progress has been made — wildlife protection workers are particularly optimistic about the Chinese government’s recent plans to shut down the ivory market, which could help stem the demand poachers respond to. For the elephants’ sake, Maisels hopes that progress can be made in time. 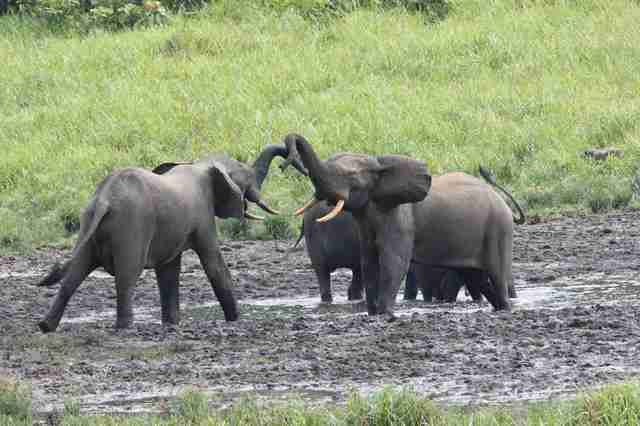 To help protect forest elephants in Gabon, you can make a donation to WCS.